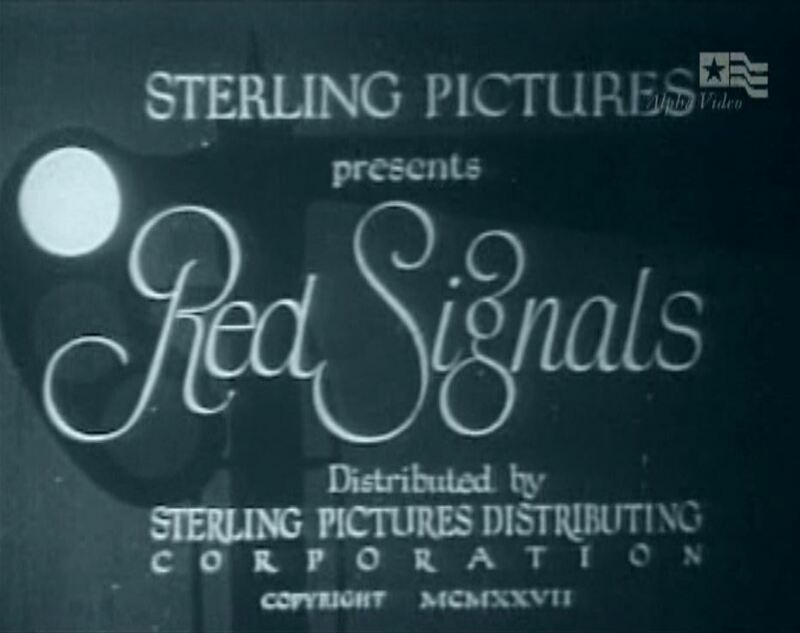 Filmed on the Santa Fe Railway in and around Los Angeles in the late 1920s, Red Signals is a silent, but fast-moving look at railroad operations during the early steam era. 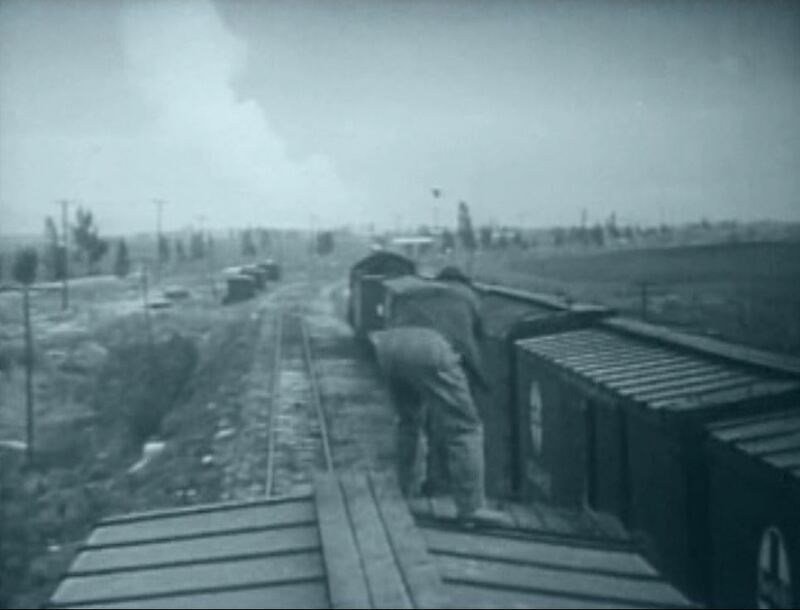 Packed with action, this film showcases wooden box cars, speeding freight and passenger trains, explosions, derailments and almost a complete lack of regard for safety. 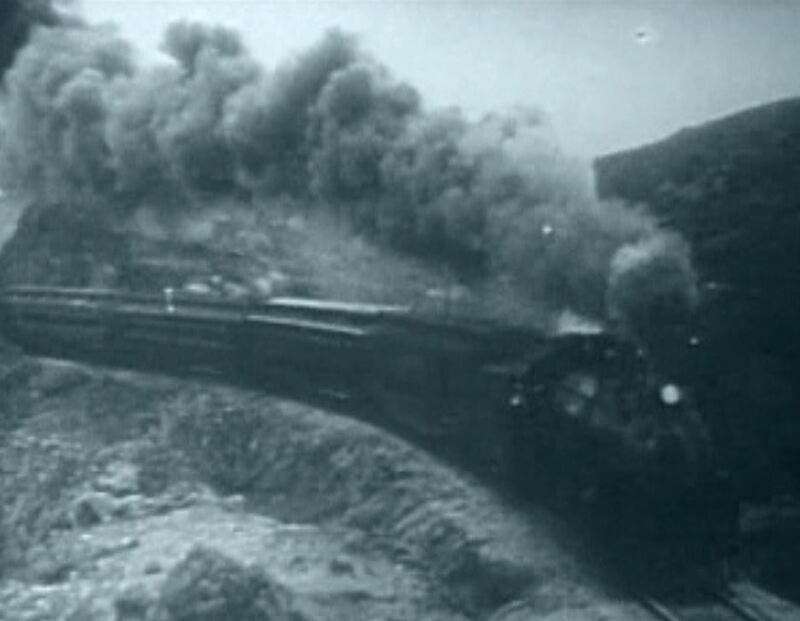 There’s even a treacherous switching move with a box car of dynamite. What could possibly go wrong? Let’s give it a look…. 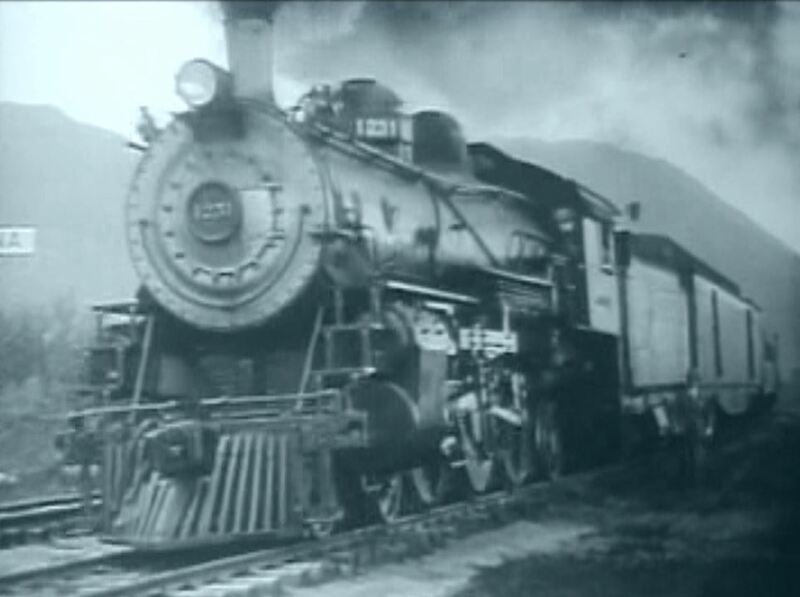 ATSF 1231, a 4-6-2 Pacific with 73″ drivers steps along smartly with “The Limited” during the climax of this exciting train movie. 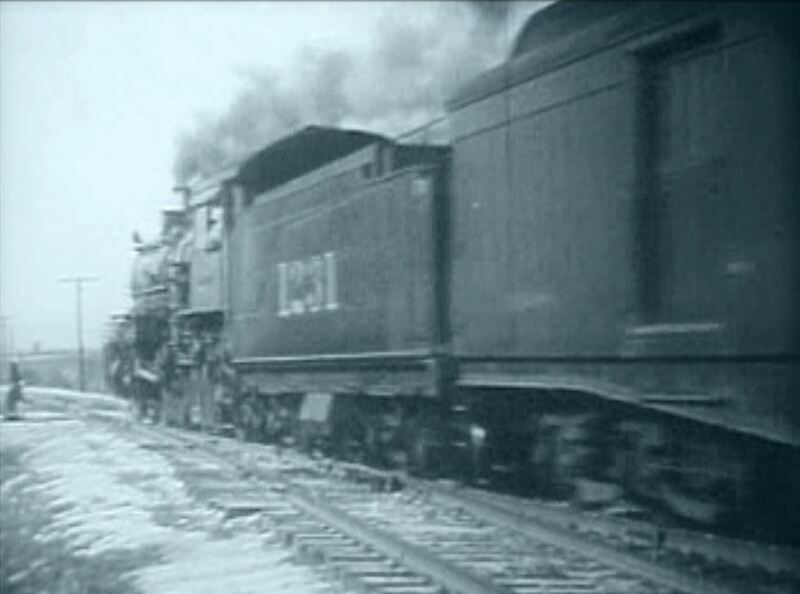 …which leads to this unfortunate “meet” at a siding. 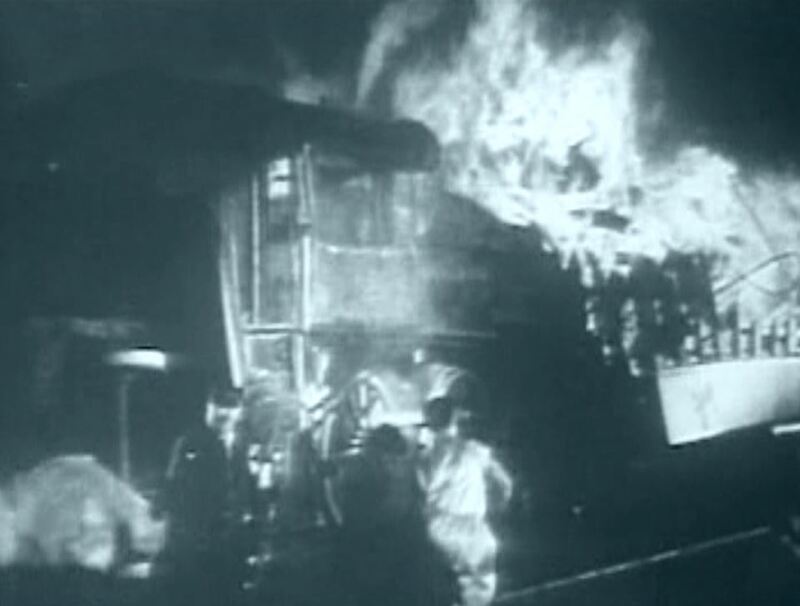 It turns out the division superintendant is in cahoots with a tough guy conductor. They are purposely causing wrecks and looting the trains. Well, after five of these wrecks in two months, the boys back at headquarters finally sit up and take notice. Ace troubleshooter Frank Bennet is presently dispatched as the new Division Super. 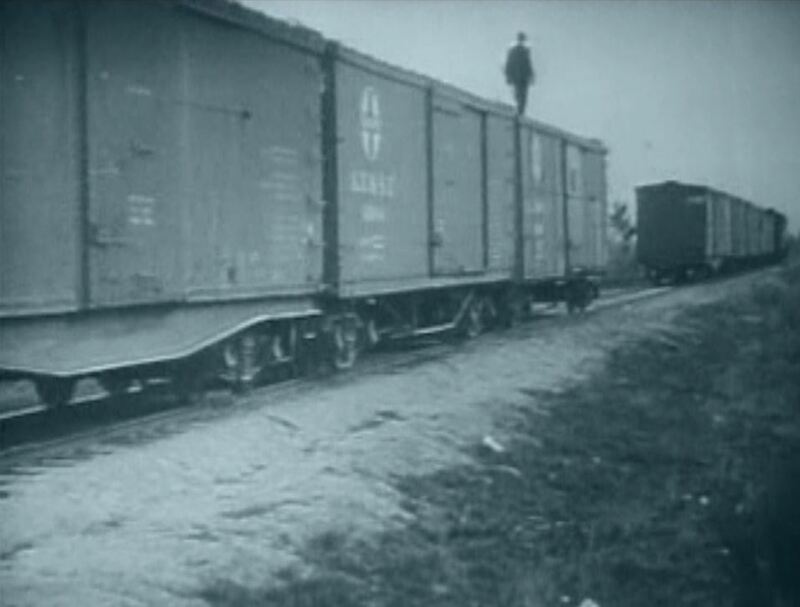 Back to the trains. 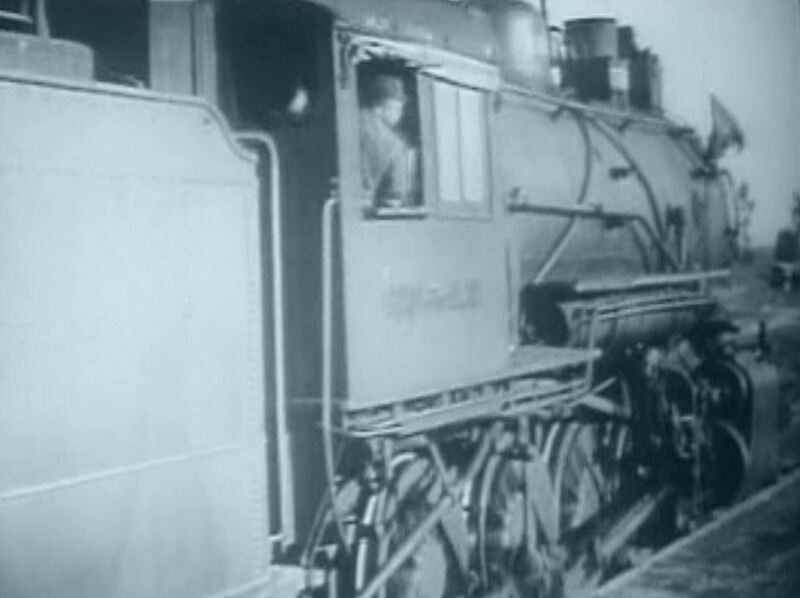 Here we find Local Freight #30 pouring on the coal; AT&SF on the cab has been carefully blackened out so as to not associate the Atchison Topeka and Santa Fe Railway too closely with this Safety Last movie. 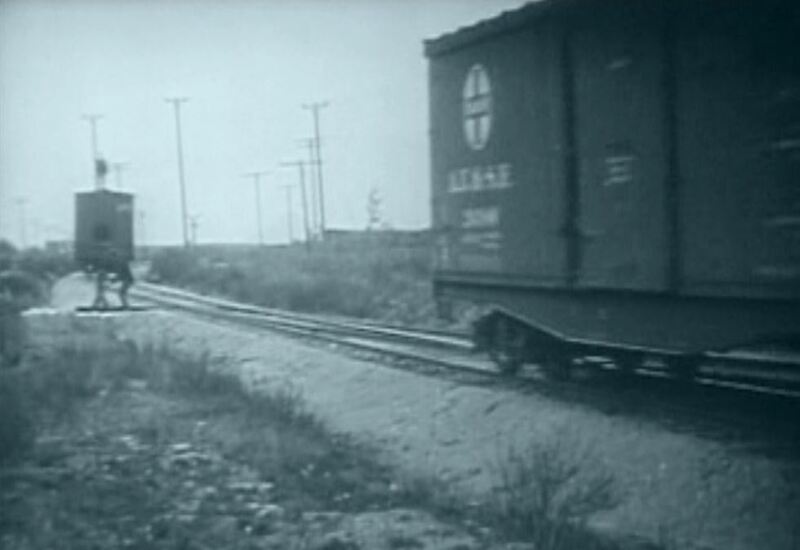 A hobo pokes his head out from a “side-door Pullman” as a string of wooden AT&SF boxcars trundles along; The rear brakeman “decorates the car tops”, marching forward to evict the hobo. 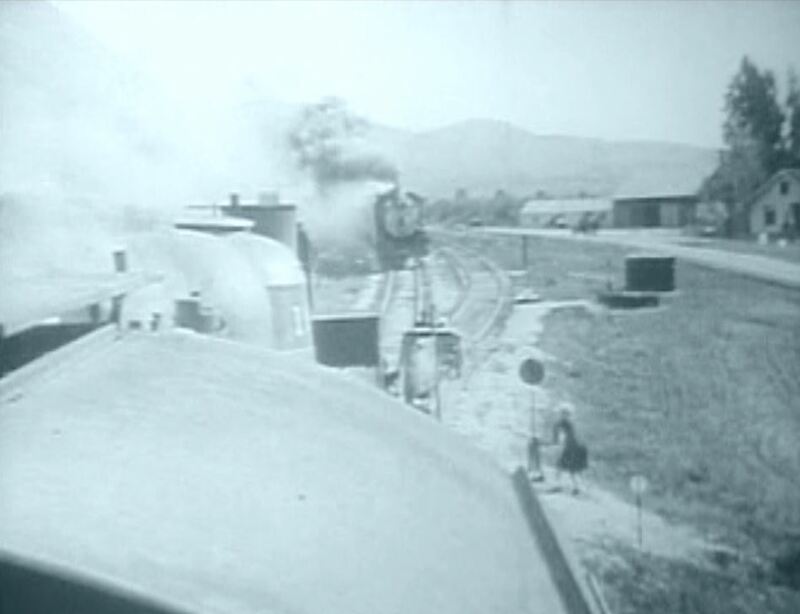 Note the caboose cupola windows have no glass. He simply climbed out the window. Chasing down hobos in the yard; The heroine chats it up with her father as ATSF 1255 (another 4-6-2 Pacific) simmers nearby. Whoa! 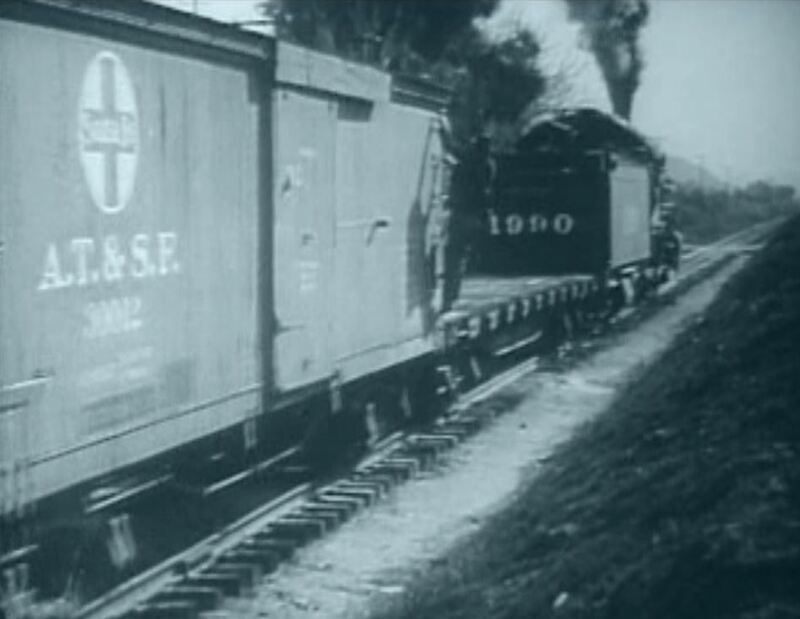 Crossing over to spoon with the heroine, the hero just about gets clobbered by a passing freight; Look at all that detail written on the side of the box car! Much plot development and comic relief left off here. On with the trains! 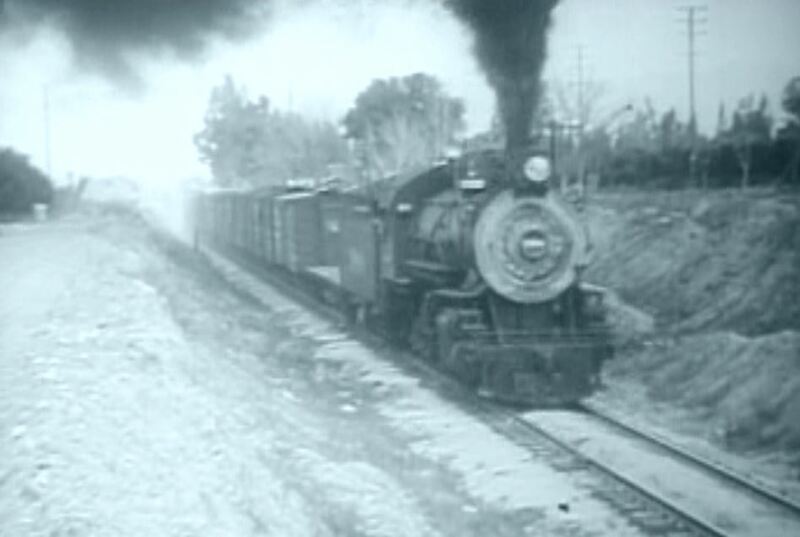 ATSF 1990, a 2-8-2 built by Baldwin in 1907, leads the local freight; dealing with a hotbox. 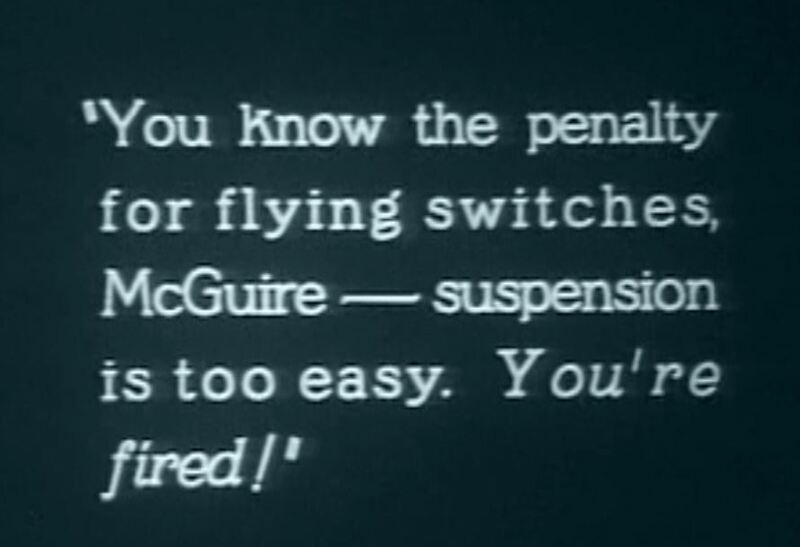 Performing a flying switch….with a carload of dynamite! 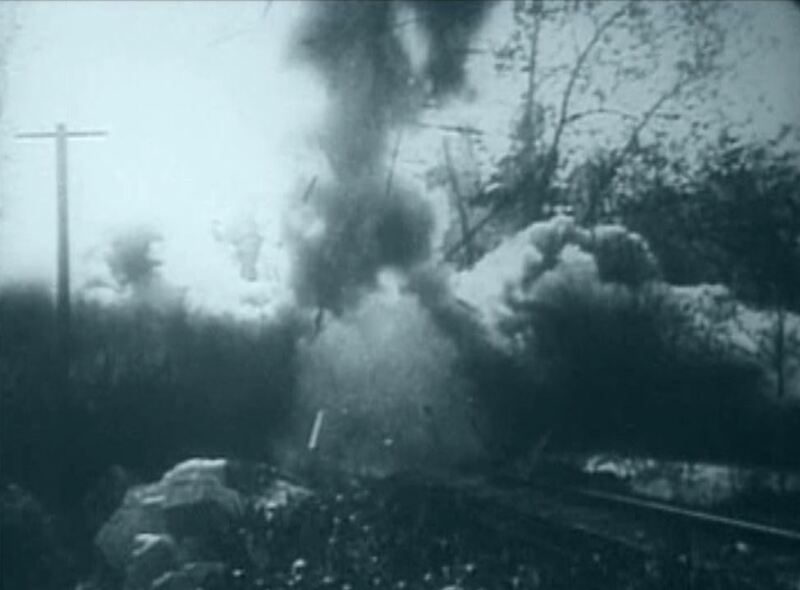 As the explosive-laden box rolls down the siding…the hand brake chain has broken! 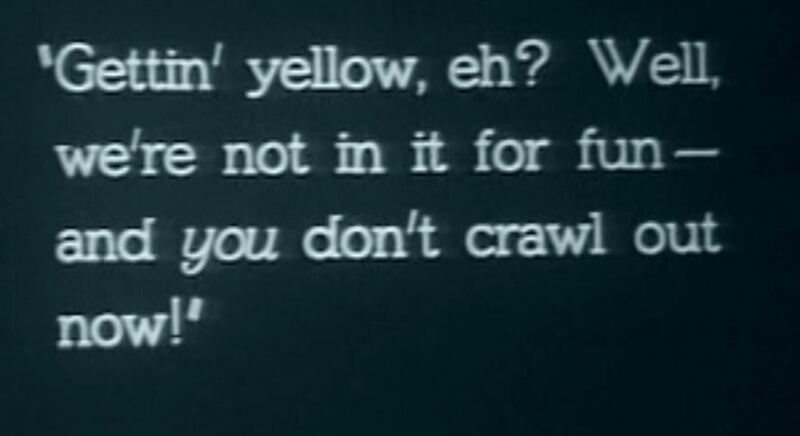 (of course). This will not end well….Ka-BOOM! Sacked! 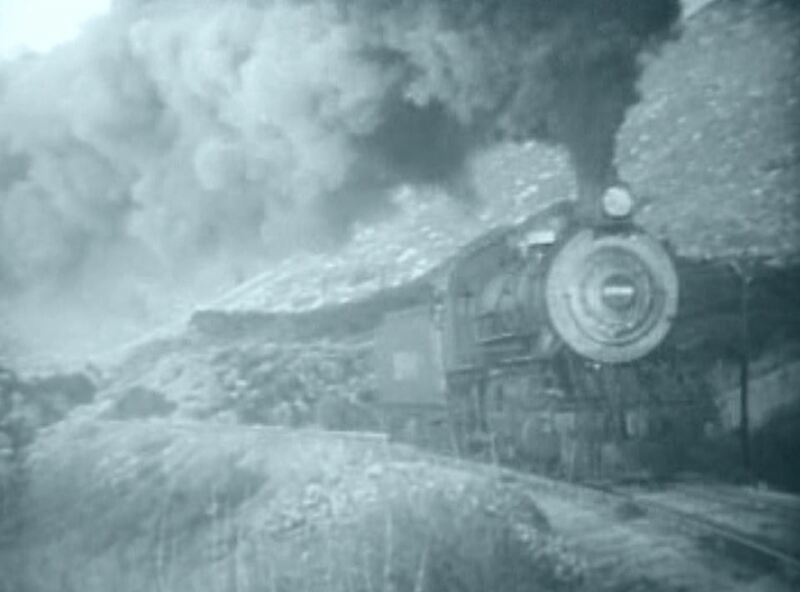 But no, the evil ex-conductor has sent ATSF 1990 headlong towards the oncoming Limited! Bending the iron, our heroine sidetracks the onrushing 1990 just in time. 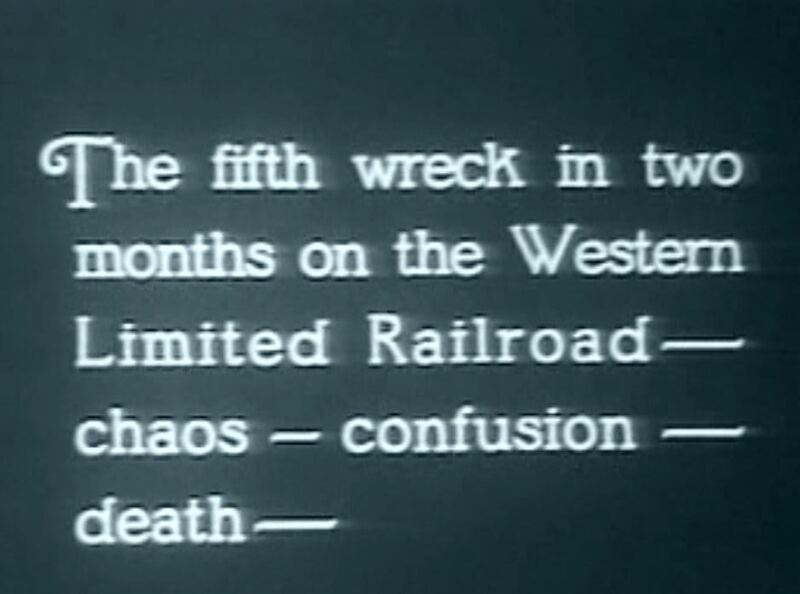 Red Signals packs a great deal of railroad action into its’ 68 minutes…much of which I left off for brevity’s sake. 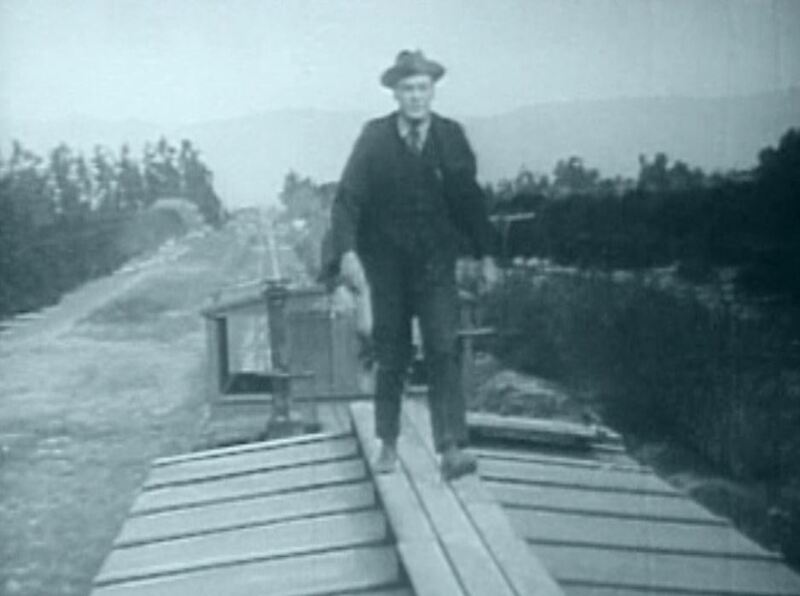 This old silent definitely gets two thumbs up from this old ferroequinologist. 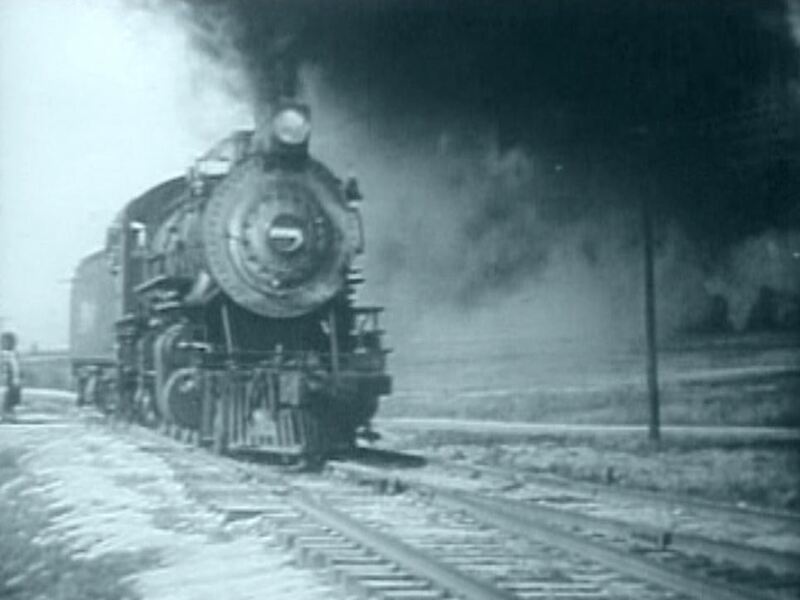 This entry was posted in Uncategorized and tagged Atchison Topeka and Santa Fe Railroad, Santa Fe Railway, Silent Picture, Sterling Pictures. Bookmark the permalink. 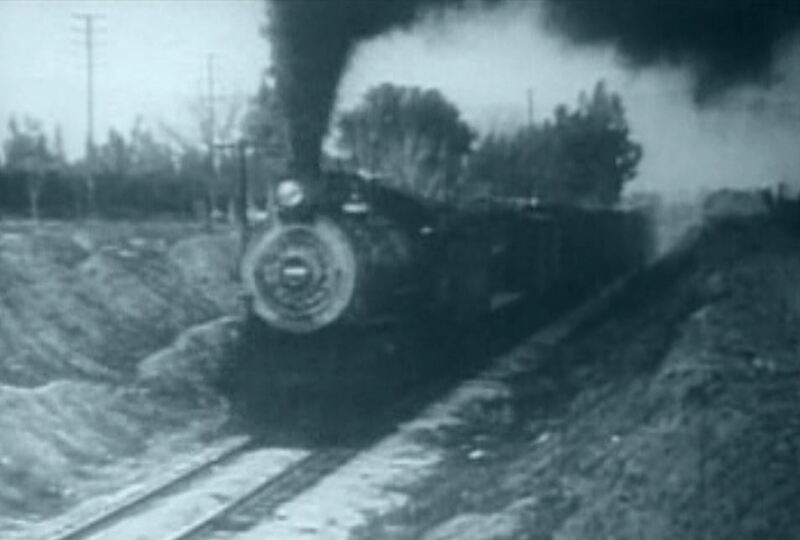 This is such a fun movie, in addition to the great train scenes, it has sort of a good-hearted goofiness about it.